The Roscoe PTO and Golfing 4 the Kids invite you to join us at Tip Night at Roscoe Pizza Ranch! 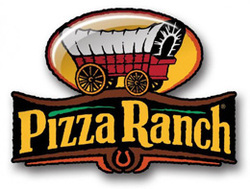 The Roscoe Pizza Ranch will donate 10% of proceeds from all sales and any tips collected to the Roscoe PTO. Event date / time TBA. Carry-out and Delivery are also available!